Paul has been active in the Real Estate business since first obtaining his license in the spring of 1978, and has been acting as Broker/Manager since 1990 and Broker of Record since 2015, responsible for over 100 Brokers and Sales Representatives at the Millcreek Branch and another 350 associates from all branches of RE/MAX Realty Specialists Inc. (one of the Country’s top producing Real Estate offices, since 1980). 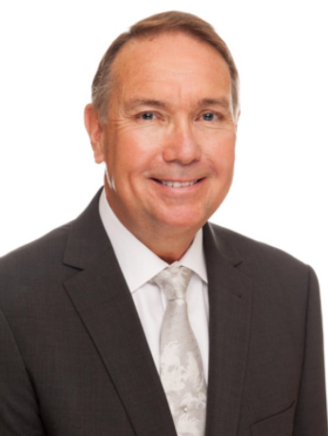 He received the Salesperson of the Year Award from the Toronto Real Estate Board in 1986, and served as President of the Mississauga Real Estate Board in 1987. Paul has also been very active in his community for over 40 years. He is a Past President of the Rotary Club of Mississauga-Meadowvale, Past President of the Meadowvale Kinsmen Club, Past Chairman of the Meadowvale Theatre Advisory Board, Past Chair of the Official Board of Eden United Church and is currently Past President of City Centre Musical Productions Inc. and a Director of Mississauga's Living Arts Centre. Disclaimer By entering my contact information I give my express consent to be contacted by 'Paul Fletcher, RE/MAX Realty Specialists Inc., Brokerage *' and or real estate salespeople on behalf of 'RE/MAX Realty Specialists Inc., Brokerage *' to discuss potential services.